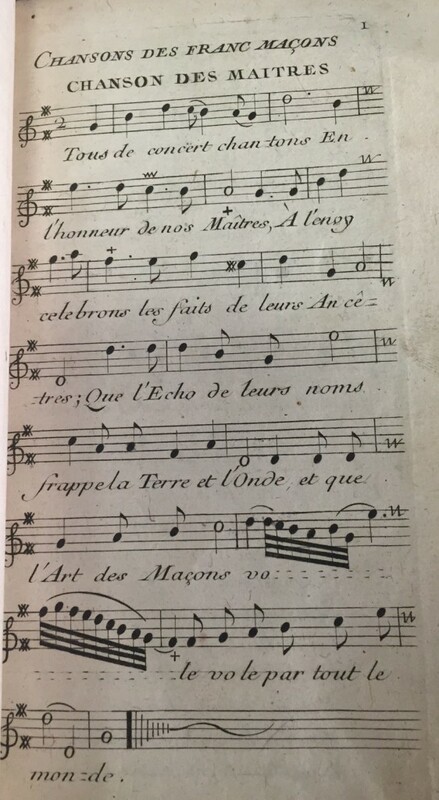 For the 260th birthday of music’s favorite Freemason, Wolfgang Amadeus Mozart, here is a recent acquisition: Recueil de chansons des franc-maçons à l’usage de la Loge de Ste Geneviefve. A very rare collection of sixty Masonic songs, it was published in Paris in 1763 and sold by Charles-Antoine Jombert. This volume is in four parts. The first, which does not have a title, contains such songs as the florid Chanson des maitres and a combative march called La main aux armes. Part two describes Les plaisirs de la Maçonnerie, specifically Une aimable fraternité, La sagesse et l’innocence and Une égalité parfaite. Part three contains Noels en C fol ut (Fidele a Dieu bon citoyen), and part four Noels en G ré sol (Amis de la concorde). This item joins several other collections of Masonic songs at the Isham Memorial Library, the special collections library located with the Eda Kuhn Loeb Music Library. 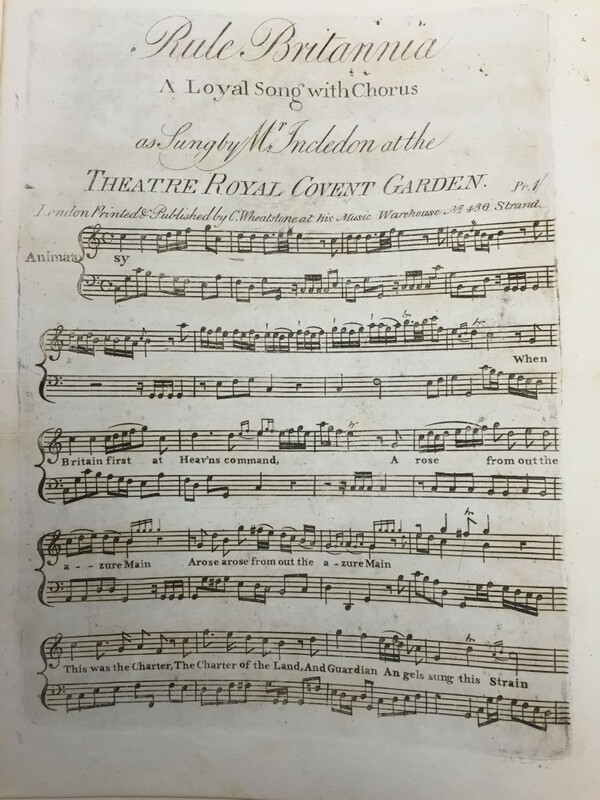 These include The Masonick minstrel (Dedham, MA: 1816) and Auswahl maurerischer Gesænge (compiled in Germany between 1803 and 1805). It is perhaps an overstatement to call Mozart a full-fledged political Mason. He was active in his local lodge, Zur Wohlthätigkeit, and enjoyed close friendships with his Masonic brothers. He composed music for the lodge’s meetings, such as the cantata Die Maurerfreude, K. 471, for tenor, male chorus and orchestra, and the Maurerische Trauermusik, K. 477, which went through arrangements for many permutations of instruments.